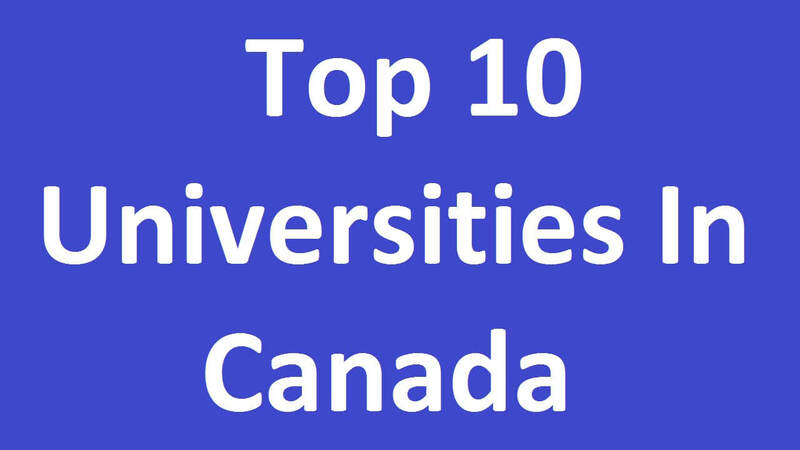 Here are top 10 universities and colleges in Canada, University Ranking Methodology is based on, Universities and Colleges are ranked by our exclusive uniRank University Ranking™. The web-based non-academic University ranking has been published since May 2005. Since then the ranking methodology has been periodically fine-tuned to provide better results. Established in 1827, University of Toronto is a non-profit public higher education institution located in the urban setting of the large city of Toronto (population range of 1,000,000-5,000,000 inhabitants), Ontario. Officially accredited recognized by the Ministry of Advanced Education and Skills Development, Ontario, University of Toronto is a large (enrollment range: over-45,000 students) coeducational higher education institution. The University of Toronto offers courses and programs leading to officially recognized higher education degrees such as bachelor degrees, master degrees, doctorate degrees in several areas of study. International applicants are eligible to apply for enrollment. The University of Toronto also provides several academic and non-academic facilities and services to students including a library, housing, sports facilities and activities, study abroad and exchange programs, as well as administrative services. Established in 1908, The University of British Columbia is a non-profit public higher education institution located in the urban setting of the large city of Vancouver (population range of 1,000,000-5,000,000 inhabitants), British Columbia. This institution also has branch campuses in the following location(s): Kelowna. Officially accredited recognized by the Ministry of Advanced Education, British Columbia, The University of British Columbia is an enormous (enrollment range: 40,000-44,999 students) coeducational higher education institution. The University of British Columbia (UBC) offers courses and programs leading to officially recognized higher education degrees such as pre-bachelor degrees (i.e. certificates, diplomas, associate or foundation degrees), bachelor degrees, master degrees, doctorate degrees in several areas of study. This 109 years old H.E. institution has a selective admission policy based on entrance examinations and students’ past academic record and grades. The admission rate range is 40-50% making this Canadian higher education organization an averagely particular institution. International applicants are eligible to apply for enrollment. UBC also provides several academic and non-academic facilities and services to students including a library, housing, sports facilities and activities, financial aids and scholarships, study abroad and exchange programs, online courses and distance learning opportunities, as well as administrative services. 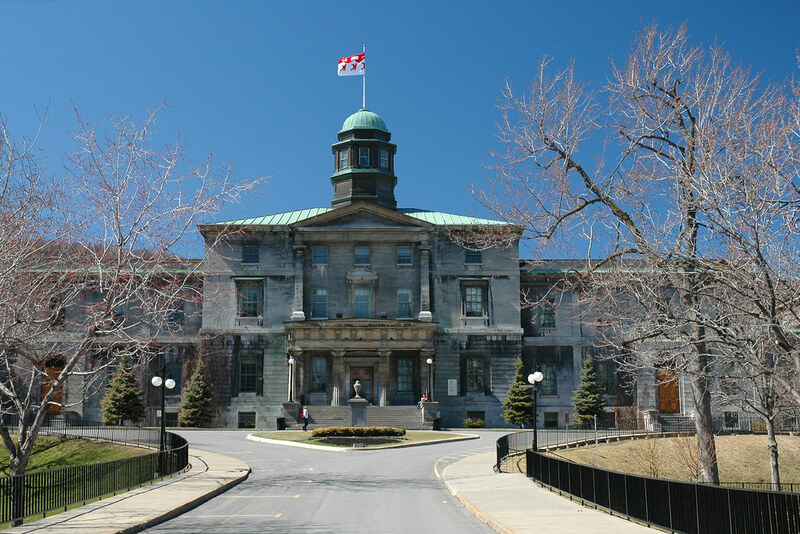 Founded in 1821, McGill University is a non-profit public higher education institution located in the urban setting of the large city of Montreal (population range of 1,000,000-5,000,000 inhabitants), Quebec. This institution also has branch campuses in the following location(s): Ste. Anne de Bellevue. Officially accredited recognized by the Ministre de l’Éducation, de l’Enseignement supérieur et de la Recherche, Québec (Ministry of Education, Higher Education and Research, Quebec), McGill University is a very large (enrollment range: 30,000-34,999 students) coeducational higher education institution. McGill University offers courses and programs leading to officially recognized higher education degrees such as pre-bachelor degrees (i.e. certificates, diplomas, Associate or foundation degrees), bachelor degrees, master degrees, doctorate degrees in several areas of study. This 196 years old H.E. institution has a selective admission policy based on entrance examinations and students’ past academic record and grades. International students are welcome to apply for enrollment. McGill University also provides several academic and non-academic facilities and services to students including a library, housing, sports facilities and activities, study abroad and exchange programs, as well as administrative services. Founded in 1965, Simon Fraser University is a non-profit public higher education institution located in the urban setting of the large town of Burnaby (population range of 50,000-249,999 inhabitants), British Columbia. This institution also has branch campuses in the following location(s): Vancouver, Surrey. Officially accredited recognized by the Ministry of Advanced Education, British Columbia, Simon Fraser University is a very large (enrollment range: 30,000-34,999 students) coeducational higher education institution. Simon Fraser University offers courses and programs leading to officially recognized higher education degrees such as pre-bachelor degrees (i.e. certificates, diplomas, associate or foundation degrees), bachelor degrees, master degrees, doctorate degrees in several areas of study. This 52 years old H.E. institution has a selective admission policy based on entrance examinations and students’ past academic record and grades. The admission rate range is 70-80% making this Canadian higher education organization a somewhat selective institution. International students are welcome to apply for enrollment. SFU also provides several academic and non-academic facilities and services to students including a library, housing, sports facilities and activities, financial aids and scholarships, study abroad and exchange programs, online courses and distance learning opportunities, as well as administrative services. Established in 1957, University of Waterloo is a non-profit public higher education institution located in the urban setting of the large town of Waterloo (population range of 50,000-249,999 inhabitants), Ontario. Officially accredited recognized by the Ministry of Advanced Education and Skills Development, Ontario, University of Waterloo is a large (enrollment range: 25,000-29,999 students) coeducational higher education institution. The University of Waterloo offers courses and programs leading to officially recognized higher education degrees such as pre-bachelor degrees (i.e. certificates, diplomas, associate or foundation degrees), bachelor degrees, master degrees, doctorate degrees in several areas of study. International applicants are eligible to apply for enrollment. Waterloo also provides several academic and non-academic facilities and services to students including a library, sports facilities, and activities, study abroad and exchange programs, as well as administrative services. Founded in 1908, University of Alberta is a non-profit public higher education institution located in the urban setting of the medium-sized city of Edmonton (population range of 500,000-1,000,000 inhabitants), Alberta. This institution also has branch campuses in the following location(s): Camrose. Officially accredited recognized by the Alberta Advanced Education, University of Alberta is a large (enrollment range: 35,000-39,999 students) coeducational higher education institution. The University of Alberta offers courses and programs leading to officially recognized higher education degrees such as bachelor degrees, master degrees, doctorate degrees in several areas of study. This 109 years old H.E. institution has a selective admission policy based on students’ past academic record and grades. International students are welcome to apply for enrollment. The University of Alberta also provides several academic and non-academic facilities and services to students including a library, housing, sports facilities and activities, financial aids and scholarships, study abroad and exchange programs, as well as administrative services. Founded in 1966, University of Calgary is a non-profit public higher education institution located in the urban setting of the large city of Calgary (population range of 1,000,000-5,000,000 inhabitants), Alberta. Officially accredited recognized by the Alberta Advanced Education, University of Calgary is a large (enrollment range: 25,000-29,999 students) coeducational higher education institution. The University of Calgary offers courses and programs leading to officially recognized higher education degrees such as bachelor degrees, master degrees, doctorate degrees in several areas of study. This 51 years old H.E. institution has a selective admission policy based on entrance examinations and students’ past academic record and grades. The admission rate range is 10-20% making this Canadian higher education organization a most selective institution. International students are welcome to apply for enrollment. 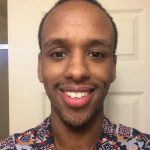 The University of Calgary also provides several academic and non-academic facilities and services to students including a library, housing, sports facilities and activities, financial aids and scholarships, study abroad and exchange programs, as well as administrative services. Founded in 1959, York University is a non-profit public higher education institution located in the urban setting of the large city of Toronto (population range of 1,000,000-5,000,000 inhabitants), Ontario. Officially accredited recognized by the Ministry of Advanced Education and Skills Development, Ontario, York University is a very large (enrollment range: 40,000-44,999 students) coeducational higher education institution. York University offers courses and programs leading to officially recognized higher education degrees such as bachelor degrees, master degrees, doctorate degrees in several areas of study. International students are welcome to apply for enrollment. York University also provides several academic and non-academic facilities and services to students including a library, housing, sports facilities and activities, study abroad and exchange programs, as well as administrative services. Founded in 1903, University of Victoria is a non-profit public higher education institution located in the suburban setting of the large town of Victoria (population range of 50,000-249,999 inhabitants), British Columbia. Officially accredited/recognized by the Ministry of Advanced Education, British Columbia, University of Victoria is a large (enrollment range: 15,000-19,999 students) coeducational higher education institution. The University of Victoria offers courses and programs leading to officially recognized higher education degrees such as pre-bachelor degrees (i.e. certificates, diplomas, associate or foundation degrees), bachelor degrees, master degrees, doctorate degrees in several areas of study. This 114 years old H.E. institution has a selective admission policy based on entrance examinations and students’ past academic record and grades. International students are welcome to apply for enrollment. UVic also provides several academic and non-academic facilities and services to students including a library, housing, sports facilities and activities, financial aids and scholarships, study abroad and exchange programs, online courses and distance learning opportunities, as well as administrative services. Founded in 1878, The University of Western Ontario is a non-profit public higher education institution located in the urban setting of the small city of London (population range of 250,000-499,999 inhabitants), Ontario. Officially accredited recognized by the Ministry of Advanced Education and Skills Development, Ontario, The University of Western Ontario is a very large (enrollment range: 30,000-34,999 students) coeducational higher education institution. The University of Western Ontario (UWO) offers courses and programs leading to officially recognized higher education degrees such as pre-bachelor degrees (i.e. certificates, diplomas, associate or foundation degrees), bachelor degrees, master degrees, doctorate degrees in several areas of study. This 139 years old H.E. institution has a selective admission policy based on entrance examinations and students’ past academic record and grades. International students are welcome to apply for enrollment. Western also provides several academic and non-academic facilities and services to students including a library, housing, sports facilities and activities, financial aids and scholarships, study abroad and exchange programs, online courses and distance learning opportunities, as well as administrative services.